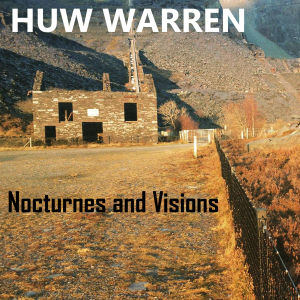 Pianist HUW WARREN has a new solo album, Nocturnes and Visions (released earlier this month). Gail Tasker asked him about recording alone, the album concept and his favourite solo albums by other pianists. LondonJazz News: How long has this album been in the making? 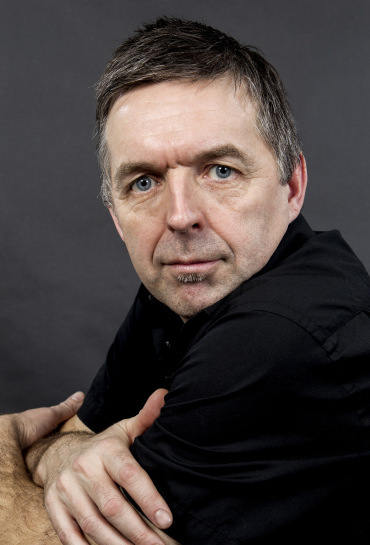 Huw Warren: My initial idea was to record a live solo concert in 2015. It was part of a Bach festival so I played some new arrangements of Bach pieces alongside my usual mixed programme and I brought a Cardiff-based engineer, Sam Barnes, in to record it all. It was a really beautiful Steinway D piano at Cardiff University Concert Hall, and also a lovely concert; but somehow the recording didn't quite match up to my expectations of a solo record. However it did fire my enthusiasm to complete another solo record! We went back to the same hall a couple of times, and re-recorded most of the tunes. A couple of the Bach pieces even made it onto the record! LJN: Do you find solo piano albums easier or harder than recording with a band? HW: I think most pianists would agree that playing and recording solo is the ultimate challenge. However, I have recorded quite a lot either solo or in duo/trio situations without bass and drums, so the setting feels quite familiar. The bigger challenge is find a musical integrity and a personal language within the solo setting. For me this is definitely a continuation of the approach I used in my 2002 solo album Infinite Riches in a Little Room (listen here). On both records I'm trying to find freedom without using an explicitly jazz language. If anything, the sound and approach are heavily influenced by classical music, but the music is actually a mixture of composed pieces (with improvisation) and completely improvised pieces. The idea of an ultra-personal and comfortable musical skin that can absorb many different styles and angles seems so much more attractive than the conventional concept of fusion - "Jazz meets Classical /Folk", etc. It's also very much at the heart of the Quercus collaboration with June Tabor and Iain Ballamy. LJN: How different is this album from your 2002 solo piano album? HW: Both albums have a really diverse set of source material and a mixture of compositions and improvisations. However, Nocturnes and Visions has more of a 'live' feel and less of the prepared piano/over-layered approach that I was exploring on several of the pieces on Infinite Riches. The title also reflects a desire to create a slightly more meditative vibe across the whole record. LJN: What other solo piano albums do you like/listen to? HW: Oh wow, there are so many great solo records out there! For me, I think Keith Jarrett's Facing You (1971) was a major landmark in the approach to a solo piano recording. Far less about virtuosity and much more about the music. On a completely different tack, I was really into a record of Morton Feldman's solo piano music - very soft, gentle and slow. Almost like each sound becomes it's own world. There's a great Egberto Gismonti solo album Alma (1986) that I listened to a lot and recently I've really liked Craig Taborn's The Avenging Angel (2010) and Tigran Hamaysan's An Ancient Observer (2017). We are also blessed with some incredible UK musicians such as Django Bates, Kit Downes, Gwilym Simcock, Jason Rebello, Elliot Galvin, (amongst many others), and I try my best to keep up with what they are doing solo or otherwise! LJN: Did you intend the album to be listened to as a continuous whole? HW: Yes definitely. I'm still from the generation that thinks carefully about running order, mastering volumes, gaps between tracks, etc. All these aspects add to the narrative of the whole form, and that's something that I've definitely given attention to. For instance on Nocturnes and Visions the last chord of the last track, Noturna, is actually the first chord of the intro to the opening track - a happy accident rather anything planned, but something that now feels an important part of the album's structure! I'm also aware that many people will want to listen to it in a completely different way, maybe downloading a track at a time or creating their own order. In which case, I'm fine with that. LJN: There is a range of styles, from Brazilian to Bach... Is there a concept or underlying theme? HW: I didn't start out with a definite concept of what material to use. As is so often case, it kind of evolved and morphed into its own identity as that process unfolded. I also have quite a number of pieces I didn't use, so I'm thinking of releasing those further down the line either as bonus tracks or as a whole other record. LJN: You choose to keep the longest track till last? HW: In terms of the running order, the two Brazilian pieces seemed a very natural way to bookend the record. Both are pieces that I play frequently in various line ups, and I've found that they have a kind of universal appeal everywhere I play them. (From North Wales to New York and China!) O Farol Que Nos Guia by Hermeto Pascoal is an incredible tune that Iain Ballamy and myself have played in a duo arrangement many times. The title means "The Light that Guides Us" or "Our Guiding Light" and it is a most remarkable combination of short sections. The tune moves from hymnal melodic shapes to scampering faster sections and a euphoric final section. A perfect dramatic overture! Noturna is a beautiful piece by Guinga (That I also recorded on the most recent record with Maria Pia de Vito) and has a wonderfully rich harmonic language (think Puccini or Verdi) and a killer melody that, as is the case in much of Guinga's music, never quite goes where you expect it to. The album also includes two personal dedications. Up There is dedicated to my brother-in-law, Jeremy Lamburn (a cellist and composer) who died unexpectedly in 2014 and Pure (for JT) is dedicated to pianist and composer John Taylor who died in 2015. The former is very much a personal and family dedication, and we were working as a family on Jeremy's music before his untimely death. I was lucky enough not only to meet JT, but also to get to know him over a number of years and perform with him several times. In keeping with many of my generation, he was a massive influence as a pianist and composer. Perhaps even more importantly he was hugely influential as a human being and role model, and hopefully his spirit lives on in the writing and playing of musicians now and in the future.